Jesus talked about the one who comes to steal, kill and destroy a person’s life and we know and understand that He is describing Satan, better known as the devil. But then He tells us of the kind of life that we would have if we embrace all that He died to give us. It is life in abundance. Life – Greek word zoe – means life as God has it, that which the Father has in Himself, and which He gave to the Incarnate Son to have in Himself. From this life man has become alienated in consequence of the Fall, and of this life men become partakers through faith in the Lord Jesus Christ. Zoe, the God kind of life in abundance, excessive to overflowing; surplus, over and above, more than enough, profuse, extraordinary and more than sufficient is the kind of life that Jesus died to give us. It begins in our lives when we invite Him in to be our Savior and Lord. Then it continues by faith as we come into the understanding of that kind of life that God has and has given us. When God created man in the very beginning Genesis 2:7 says that He formed him from the dust of the ground and then He “breathed into his nostril the breath of life; and man became a living being.” When we invite Jesus into our hearts to become our own personal Lord and Savior God once again breathes new life into us and our spirit that was created to inhabit His Spirit comes alive spiritually. He gives us His breath, His life, His overflowing surplus of everything that we have need of, body, soul and spirit. We can life healthfully; full of heath in all areas of our lives because God has given us His kind of life. There is no sin with God; there is no sickness with God and there is no lack with Him. He is full of health within Himself. That is the life that He has given us through the relationship that we have with His Son, Jesus Christ. Healthfully – full of health. John 3:2 Beloved, I pray that you may prosper in all things and be in health, just as your soul prospers. What does it mean to prosper. The word “prosper” used in this verse is the Greek word “euodoo” and it means “to help on one’s way”; “to have a prosperous journey”; to have prosperity of physical and spiritual health. This word clearly implies that divine prosperity is not a momentary, passing phenomenon, but rather it is an on-going, progressing state of success and well-being. It is the zoe kind of life that God has, that He has intended for us to have in every area of our lives. It is living healthfully; full of health, spirit, soul and body. God said in John 3:2 that John was praying that they would prosper in all things and be in health, just as their soul prospers. The soul is the mind, will and emotions. That means that a person cannot live healthfully as God intended without knowing what God has given them in this zoe kind of life. If the mind doesn’t understand, the will refuses to receive and the emotions go by how they feel instead of the truth of God’s word the person will not prosper. The only way to understand all the benefits of life in abundance that Jesus died to give us is to get into His word and read about the covenant that God made with Jesus through His blood that was shed on Calvary, of which He has made us heirs. The book of Hebrews tells us about how Jesus went to the cross to purchase a better covenant than what they had in Old Testament days. The blood of bulls and goats were needed to cover their sin in the Old Testament, but the blood of Jesus washes away our sin, once and for all! His blood provides life for us because the Old Testament tells us that the life is in the blood. The blood that Jesus shed for us gives us life; His life, the zoe kind of life! When we accept Jesus as our own personal Savior and Lord, His life begins flowing through our veins. It is clean and pure and full of health! We no longer have to live under sin, sickness and poverty. He died to give us abundant life, full and overflowing in all areas of our lives. The only way we experience the thief stealing our life is when we don’t understand what all Jesus died to give us and so we mistakenly accept the thoughts that come to us that we are no good, that we have to live under our circumstances, and that we have no power over sin, sickness and lack. But that is the devil coming to steal our health! When Jesus died on the cross for us at that moment we had forgiveness of sin, freedom from sickness and disease and prosperity in all areas of our lives. It becomes ours when we appropriate it in to our lives; when we receive the free gift of life that He died to give us. 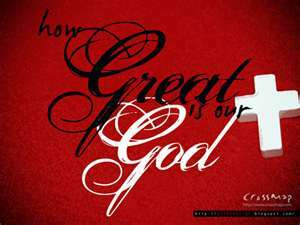 We make it ours through faith in His finished work on the cross of Calvary! Then when the devil comes delivering a package that is the opposite of what Jesus gave us we can let faith answer the door. Faith does not receive accusations of a no good life of sin because the word says there is no condemnation in those who are in Christ Jesus who walk not according to the flesh but according to the word! (Romans 8:1) Faith doesn’t receive sickness because the word says that Jesus Himself took our infirmities and bore our sicknesses and by His stripes we were healed! (Matthew 8:17; 1 Peter 2:24) Faith doesn’t receive lack because God says in His word that He provides for our every need. He did this by becoming poor that we might through His poverty become rich. (Philippians 4:19; 2 Corinthians 8:9) Having faith is not denying that you have symptoms of sin, sickness and lack; it simply looks at the word of God instead of the symptoms and declares what the word says rather than what the person feels. It is walking according to God’s higher law of prosperity; wholeness in spirit, soul and body, rather than identifying with the old sin nature of man that we had before we received Christ Jesus as Savior and Lord. Faith is not denying a problem, but speaking of the solution to the problem more than the problem itself. Father, I come before You this morning in faith believing that You gave Your Son, Jesus, to be beaten and crucified that I might have life, the zoe kind of life, Your very own life flowing through my veins. I ask You to touch those who may not be experiencing Your life this morning. 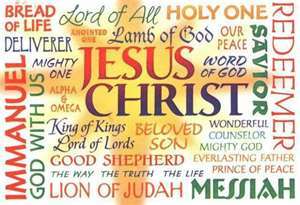 I pray that those who have never received Christ Jesus as Savior and Lord will pray to receive Him today. May this be their day of salvation! I ask You to show them that You love them by convicting them of their need for Him as Savior. I pray that they will ask Jesus into their hearts and be born again so that the life that You died to give them will be activated within their spirits. Father, I also lift up those who may be experiencing sickness and lack in their bodies and other areas of their lives. I pray that they will see the goodness of Your sacrifice on the cross for their health. I pray that they may prosper in all things and be in health as Your word declares. May they receive by faith all that You died to give them, Lord Jesus. I declare that Your blood was not shed in vain, but that it cleanses and washes away all sin, sickness and disease and poverty and lack. And I thank You for it! In Jesus’ name I pray. Amen. I am not ashamed of the gospel of Christ! Why? 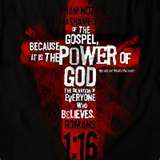 It is the power of God to salvation for everyone who believes. Please notice that in order to receive God’s salvation you must believe! Faith is the vehicle that brings God’s salvation into your life. Ashamed – Epaischunomai – the feeling of shame arising from something that has been done. Gospel – Euangelion – “good news” of salvation; not only the promise of salvation, but it’s fulfillment by the life, death, resurrection, and ascension of Jesus Christ. Power – Dunamis – energy, power, might, great force, great ability, strength. Dynamic; dynamite. Salvation – Soteria – deliverance, preservation, soundness, prosperity, happiness, rescue, general well-being. The word is used both in a material, temporal sense and in a spiritual, eternal sense. Believes – Pisteuo – to trust in, have faith in, be fully convinced of, acknowledge, rely on. It expresses reliance upon and a personal trust that produces obedience. It includes submission and a positive confession of the Lordship of Jesus. Righteousness – Dikaiosune – the character or quality of being right or just; right actions. It is used to tell of that gracious gift of God to men whereby all who believe on the Lord Jesus Christ are brought into right relationship with God. It is unattainable by obedience to any law, or by any merit of man’s own, or any other condition than that of faith in Christ. Okay, so now let’s think about what Paul is really saying in these two verses. He is not feeling any shame towards the good news of Christ, for it is the might, strength and great force of God resulting in deliverance, preservation, soundness, prosperity, happiness, rescue and general well-being of everyone who places their trust in Him and is fully convinced that He will do what He has promised. It results in acting out that trust and speaking positively of the Lordship of Jesus Christ in their life. The picture that we see here is of a person understanding that salvation is all-inclusive of whatever he needs for the well-being of his person; spirit, soul and body. It is placing trust in Christ Jesus as Lord knowing that He has purchased the salvation that you may need and you are willing to obey Him whatever the cost in order to receive what He died to give you. He preached the gospel, the good news, then He demonstrated by healing those who were oppressed of the devil with sickness and disease and demonic possession. The good news of salvation to the person who needs to be spiritually re-born would be forgiveness of sin. It means that in order for the person to receive that salvation he must place His trust in Jesus, confess Him as Lord and receive His forgiveness. Romans 10:9, 10: that if you confess with your mouth the Lord Jesus and believe in your heart that God has raised Him from the dead, you will be saved. For with the heart one believes unto righteousness, and with the mouth confession is made unto salvation. The good news of salvation for someone who is sick would be that God heals and Jesus purchased that healing for him through the stripes that He took on His back in the crucifixion. The good news for salvation for someone in poverty and lack would be that Jesus became poor that he might become rich. 2 Corinthians 8:9: For you know the grace of our Lord Jesus Christ, that though He was rich, yet for your sakes He became poor, that you through His poverty might become rich. There is a promise in God’s Word for every need that we have. It has been purchased for us through the covenant that Jesus sealed with His very own blood. It’s a matter of getting into God’s Word, finding what applies to your life and believing it in your heart, confessing it with your mouth and acting on the promise to receive it. Sometimes we must “war” to receive it. If a sick person stands on God’s word for healing he will have to fight in faith to stay firm until the manifestation of the healing appears. It is a real battle against fear, symptoms of illness, pain, others who may not support you in believing and a negative doctor’s report. But Paul told Timothy in 1 Timothy 6:12 that he should “fight the good fight of faith, lay hold on eternal life”. A good fight is one that you win and it is a fight of faith to “lay hold” on eternal life. It is a faith fight that gives us the victory! Father, I thank You for providing for whatever we have need of in our lives. I thank You that the blood of Jesus purchased our redemption, full and free, and provides salvation for the total man; spirit, soul and body. Thank You, Lord Jesus, for dying for us, for shedding Your blood that we might experience life. I pray for my friends this morning, Father, that You would show them the scriptures that apply to their needs, Father, that they might trust You to bring the provision that they have need of. Thank You, Lord, for meeting their every need. In Jesus’ name. Amen.